Indoor and outdoor gas fireplace. Spacious. Conveniently located 2 doors down from the community pool/grills and just a block from the lake. 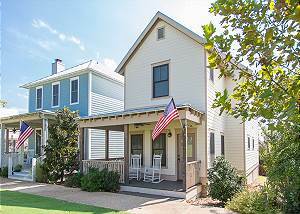 Perfect location to family fun, this cottage provides comfort and convenience for all. 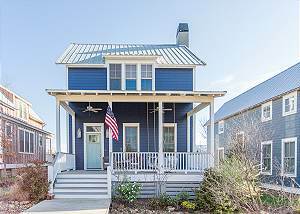 Enjoy this cottage's great outdoor spaces with a covered porch and balcony, as well as, a fenced-in yard. The unique design of the Legacy has something to offer to everyone from the main floor master to the spacious porch and balcony, and on up to a bonus theater room. 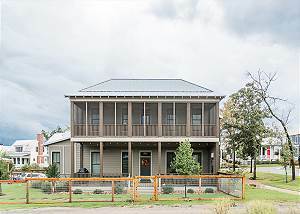 This retreat is a great space to getaway to Carlton Landing and enjoy the views of Lake Eufaula. 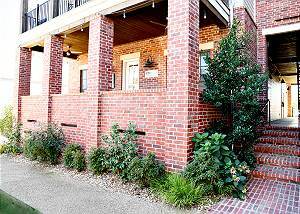 There is a downstairs master, comfortable communal space for living and dining, and two upstairs bedrooms. Don't miss the downstairs and upstairs balconies. 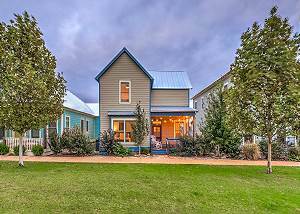 Adorable cottage with the comforts of home right on Redbud Park! 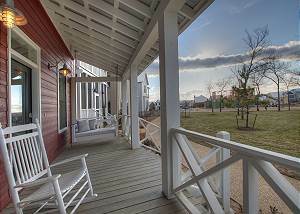 Porch swing and rocking chairs for relaxing on the porch, and plenty of space for kids to play and roam. For those rainy days, enjoy TVs in every bedroom. .
Paradise on the park. 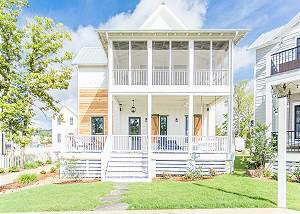 This coastal inspired, lake house gem has all the designs of modern luxury and family comfort. 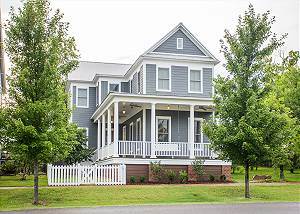 The home overlooks Redbud park and has plenty of outdoor spaces that allow your family and friends to gather and relax. The Hygge House is located in the heart of Carlton Landing, on Boulevard across from The Meeting House and steps from Firefly Park and the community pool.